(Unique restaurants around the world) Eating out once in a while is a little enjoyment that is refreshing. Heading to the local restaurant to eat has small memories associated with it. But some unique restaurants in the world go beyond small memories. These unique restaurants with their unique attractions give us a memory of a lifetime. So, here is a list of unique restaurants around the world that you must visit at least once in your life! At number 1 in our list of unique restaurants around the world, we have the ice restaurant of the Arctic snow hotel in Finland. Before entering the restaurant you have to acclimatize to the temperature in a ‘buffer zone’. Then you head on ahead to find the beautiful place; where almost everything is carved out of the ice. 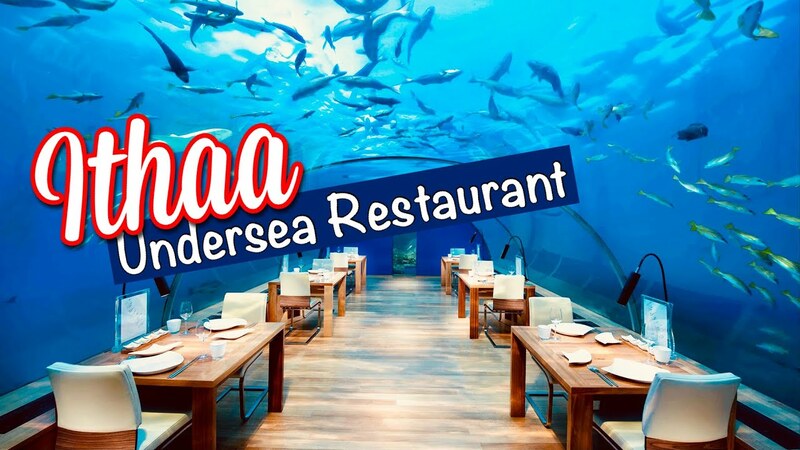 An underwater restaurant in the Maldives; Ithaa means ‘mother-of-pearl’ in the local language. Down 5 meter in the sea this restaurant offers a 270degree scenic view of the underwater world. 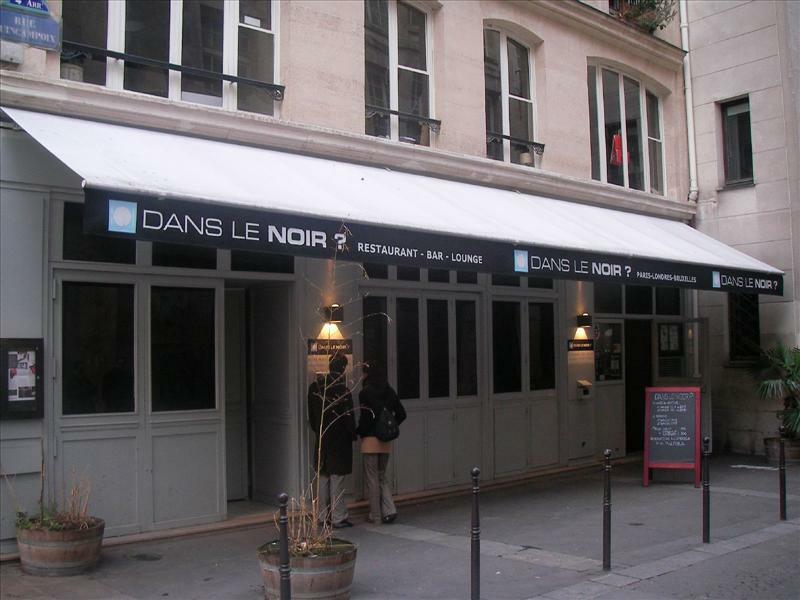 Dans Le Noir which translates to “In the black?” in English, is a definite entry in the list of unique restaurants in the world. is a restaurant chain that had its first restaurant in Paris. The restaurants serve the guests in complete darkness—dark dining or blind dining. The waiting staffers at these restaurants are either blind or visually impaired. The list of unique restaurants around the world also includes this eatery which is in the Kiwi city of Auckland. Around a redwood tree, this café gives you the feel of a tree-house dining. Unfortunately, in the present, the cafe can be used only on rental for private parties and not for dining. Into the future, this beanery gives you a feel of dining at the Mars. It is in the New York Times Square area and is a great tourist attraction. In addition to the ‘Martian’ food, you also get to meet ‘Martian’ staffers. 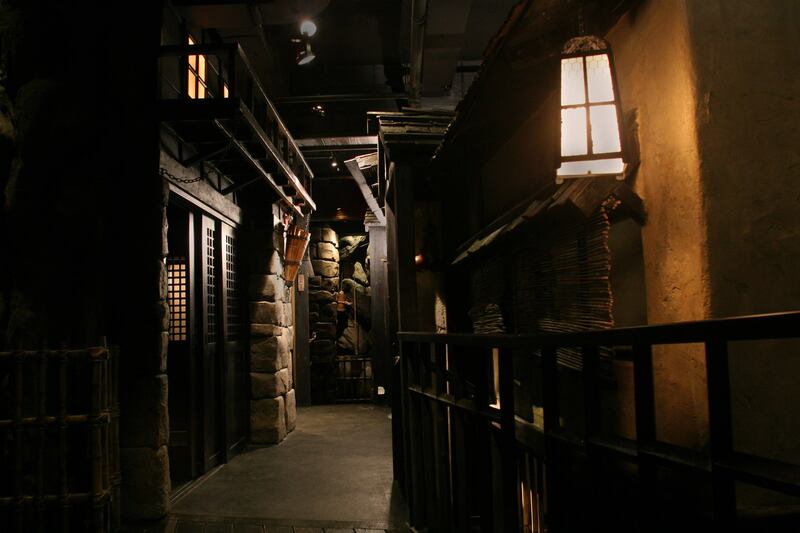 Based on Ninja Theme; Secret paths leading to the dungeon-like chamber, where tables are set for eating. Furthermore, the waiters are dressed like ninjas and perform magic tricks. 150 feet above the ground, the Belgian ‘Dinner in the Sky’ is hoisted using a crane. This concept is just amazing. While eating in your seat you get to see the breathtaking views of Brussels skyline. Therefore, it is one of the unique restaurants around the world. 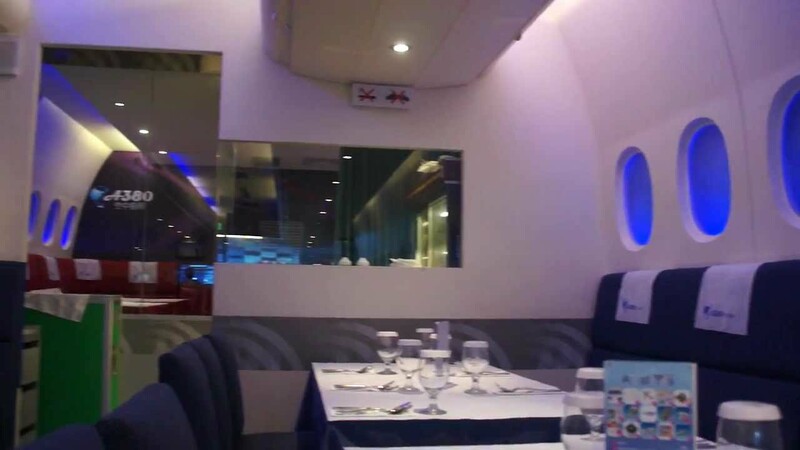 An airplane-themed restaurant has made its way to the list of unique restaurants around the world. It serves food to airplane-food obsessed people, but at a cheaper price. Situated in Taiwan’s capital, this restaurant has oval-shaped windows, baggage compartments and waitresses dressed like flight attendants. 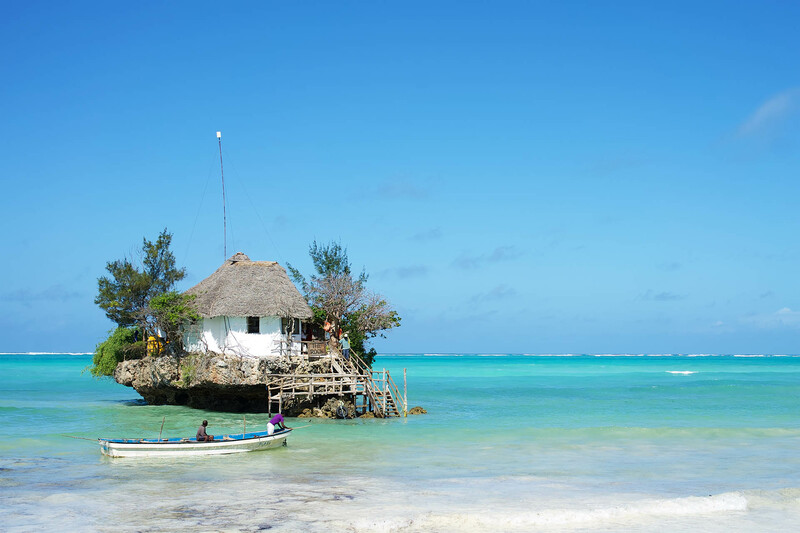 This is one of the main attractions of the Zanzibar. The craft of nature is just unmatchable. The beautiful view from this restaurant includes waves of the sea water on all sides. If you are a nature lover, this one in our list of unique restaurants is for you. 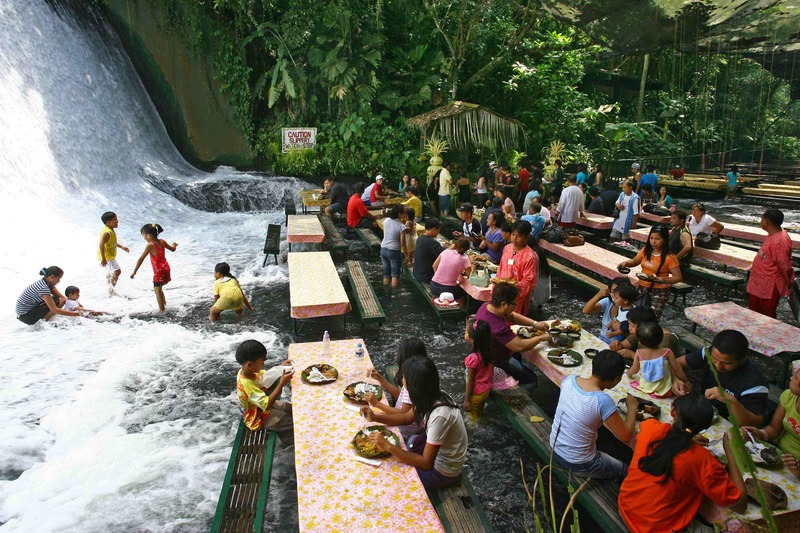 It seems like ‘eating with nature’ in this Philippine restaurant– adjoining artificial waterfall and using natural accessories such as bamboo tables. This place offers one of the best dining experiences you will ever experience.